Some days, maybe all of them maybe not, you might feel like you are a single lonely cactus in a vast open desert, forlorn and hermetic, solitary and lonesome, with no one to talk to, at least not with anyone that would truly understand how you are feeling. When a time like this creeps into our heart, it might leave us feeling the saddest we have ever been. Tears don’t seem to help and neither does chocolate cake and ice cream. 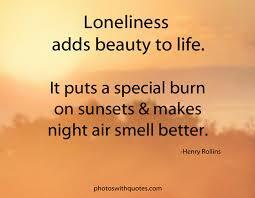 Feelings of loneliness can make us feel isolated inside of ourself, and often then what arises is fear. The fear grows and as it does the worse we look at our situation, perhaps the fearfulness brings on a little anxiety with it as well. Our mind will conjure up all kinds of stories, a series of untruths about how no one really loves us, how unwanted we are, how much of an outcast other people see in us, all of these narratives are lies, but we just can’t see through the emptiness we feel inside to see that they are just lies. What I have truly come to believe about loneliness is something quite different from what I have described here, although I have certainly felt the symptoms many times in the past. Feelings of isolation is necessary on our spiritual journey, without times of solitary it would make it very difficult for us to stand still long enough to listen to the voice of our Soul. When we are in a time of feeling lonely, it is often because we have grown in some way. Soul growth involves a great deal of emotional turmoil, if you have had a realization or an ah ha moment, or if you have been working very hard trying to understand your life situation, then very likely you have made some wonderful progress, and then so often comes the loneliness, why? Elevating the energy that our soul resinates with separates us from what we have known to be comfortable with in our past. When we grow, likely the ones around us haven’t yet (or never will) grow with us to keep up with the same vibration. When this happens a separation occurs, you begin to believe in a higher truth, this realization can take on many forms. This process is not to be feared, but rather it is a time for you to celebrate, you are engaging in your life’s work, you are working your way closer to the truth of who you are without the influence of your Tribe. Once you engage in this process life will never be the same, but in a very wonderful and positive way, so don’t sweat the loneliness, rather enjoy the time alone to discover what it is that truly makes you happy. Solitary times gift us moments so we can travel even further inwards, so we may continue to unravel our souls essence and make our way closer to freedom.